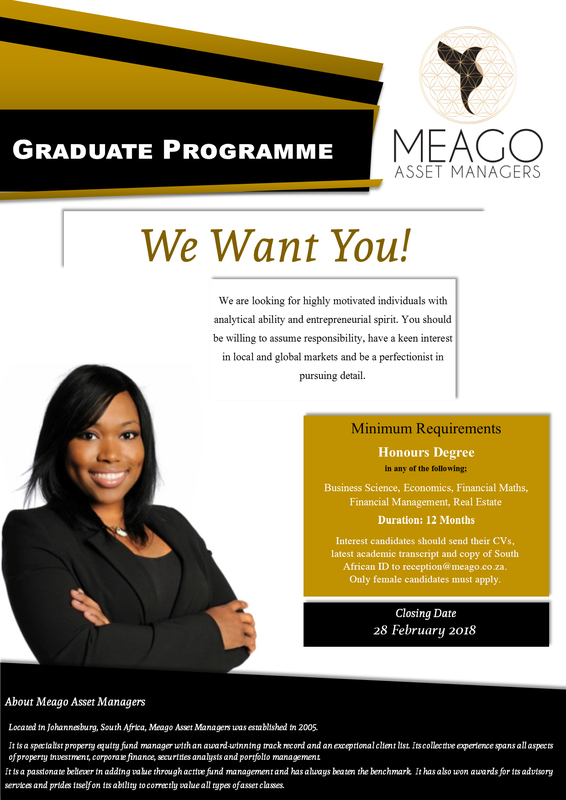 Meago has launched a graduate program in 2015, wherein we solicit interest from graduating students from national universities looking for an opportunity within financial services. We actively look to recruit highly motivated individuals with analytical ability and entrepreneurial spirit. Interested parties should be willing to assume responsibility, have a keen interest in local and global markets and be a perfectionist in pursuing detail. The graduate program is for a 12 months duration with graduates getting exposure to all aspects of financial services that the company operates in. Click here to read more about the current graduate program. We are always on the lookout for highly motivated individuals with analytical ability and entrepreneurial spirit. You should be willing to assume responsibility, have a keen interest in local and global markets and be a perfectionist in pursuing detail, consider a career at Meago. Available positions will be advertised on our website. 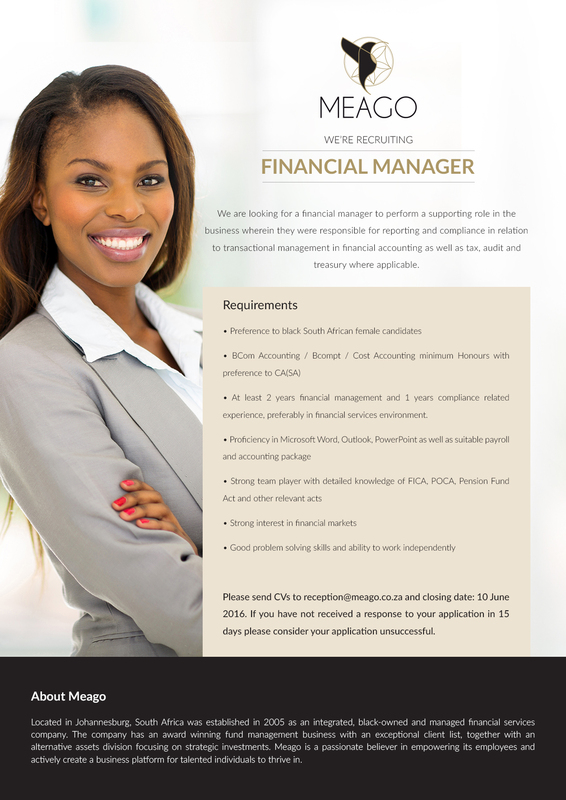 We are looking for a financial manager to perform a supporting role in the business wherein they were responsible for reporting and compliance in relation to transactional management in financial accounting as well as tax, audit and treasury where applicable. Click here to read more.